When starting cancer treatment, patients often have many questions about diet and which foods may help, or hinder, their recovery. Should cancer patients avoid fish oil or certain kinds of fish during treatment? It’s important for patients to speak with their doctor and dietician about fish oil or any other supplement, and whether these supplements can affect treatment. Not all chemotherapy may be negatively impacted by fish oil and the results of the study published in JAMA Oncology are not definitive or applicable to all patients. The research is still considered preliminary and the chemotherapy resistance was seen in mice, not humans. The specific fish identified in the study that were of concern were herring and mackerel, while salmon and tuna were less of a concern. Other protein-rich but not fatty fish like haddock or cod can also be included as part of a healthy, plant-based diet. Why is it important to include fish or fish oil supplements in our diet? Fish is an excellent source of protein and many types of fish are also rich in vitamin D and healthy fats like omega-3. Fish oil supplements may be appropriate for certain individuals based on medical conditions, or when fatty fish is not in their diet. There are also non-fish sources of omega-3 fats like walnuts, walnut oil, chia, hemp and flax seeds. Do cancer patients need to take fish oil supplements or include fish in their diets during treatment? 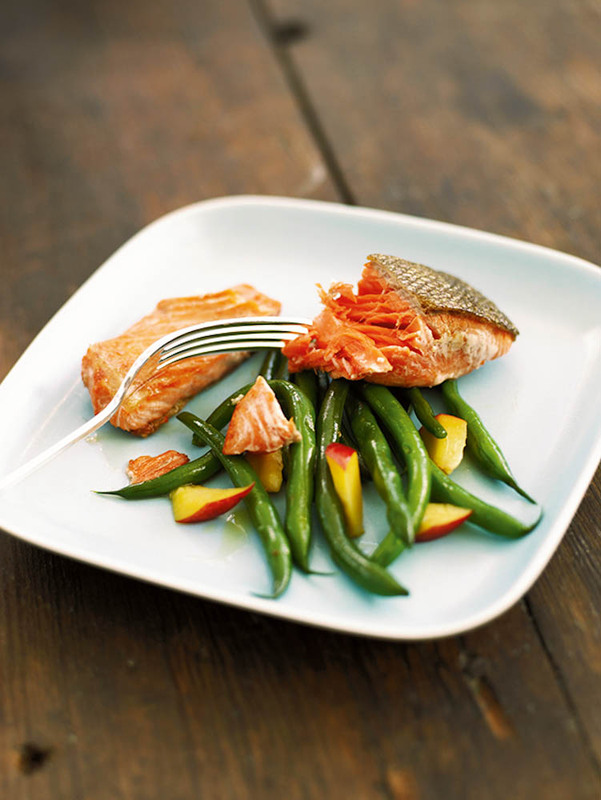 Not all cancer patients need to include fish or fish oil in their diet. We suggest they include healthy, protein-rich foods and omega-3 rich foods and speak with their doctor and dietician about whether supplements may be beneficial. Are there other foods or supplements cancer patients should avoid during chemotherapy? Generally, it’s best to get nutrients from foods instead of supplements. However, each patient’s case is different and recommendations may change as treatment plans change. Overall, it’s best to avoid taking high-dose antioxidant supplements during radiation therapy and certain types of chemotherapy. What other foods or supplements are important for cancer patients during treatment? Consuming a well-balanced, plant-based diet is important for cancer patients during treatment. Eating small, frequent meals may help reduce certain symptoms like nausea or fatigue. Some supplements may be suggested to address a clinical deficiency detected in blood tests, like magnesium or Vitamin D, while others may be suggested for helping with certain digestive side effects, like probiotics. Learn more about healthy eating by visiting the Dana-Farber/Brigham and Women’s Cancer Center Nutrition Services website, or by watching our Eating Well During Cancer series. Cancer patients hoping to boost their recovery by taking supplements of fish oil could be doing themselves more harm than good, a new study suggests. Researchers discovered that consuming Omega-3 fatty acids, found in oily fish such as mackerel and herring, could stop chemotherapy drugs from working. Although fish oil has been shown to ward off a series of ailments and illnesses, scientists at the Netherlands Cancer Institute said that patients should avoid eating fish or taking fish oil supplements in the day before treatment.